Case Study: Custom technical staffing program implementation. A global technology solutions provider, our client serves consumers, businesses and institutions delivering vital technology for business and life. A leading Fortune 500, the company provides solutions ranging from IT to imaging and printing for its customers. Adecco Engineering & Technology created and implemented a customized, long-term technical staffing program where our imaging and printing client transitioned pieces of their testing functions via statements of work (SOWs) to Adecco, without significant changes to their original architecture. This spectrum of testing services required tailored teams to be created with specific expertise that interact with customer teams at all levels. Test results are communicated in a variety of ways. Examples include the entry of defects directly to the client’s defect database or a face-to-face explanation at a customer’s site, with a high-level development engineer. Out of all their testing operations, this existing client now has approximately 30% running under Adecco management. Adecco is testing the whole range of printing and imaging devices. 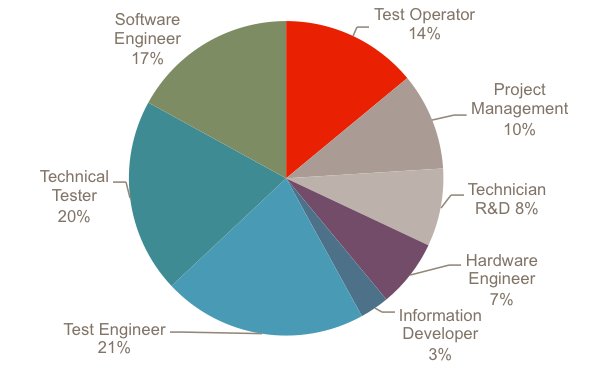 Adecco’s testers perform tens of thousands of tests each week. These tests range from those that are designed to stress the mechanical device components, to the very sophisticated tests that are used to track down the more elusive software defects that can quickly disable expensive devices if left undetected. This program allows our imaging and printing client to focus on their core competencies while Adecco provides support in peripheral (yet vital) printing functions. Fluctuations in printer testing requirements affect the number of personnel needed. Our managed service program is designed to handle variations in workforce levels – rapidly and efficiently. In addition, we retain our best employees, providing a stable and experienced workforce. A stable, experienced workforce results in cost savings for our clients, reduces training and allows us to move our associates easily within the system. Our contract managers supervise multiple testing contracts and shift resources as necessary to maintain a high order of efficiency. The Adecco managed service program provides all the tools our client needs to plan for and deploy testing applications and seamlessly integrates all printing scenarios, whether domestic or commercial. The Adecco program has greatly simplified the company’s testing procedures. Adecco Engineering & Technology has not only replaced one-to-one existing functions, but has also implemented extra shifts and on-call networking to be responsive to when our client needs us the most – any time, day or night. If needed, our “up time” can be 24x7.